Are your notes suddenly disappearing in Office 365? 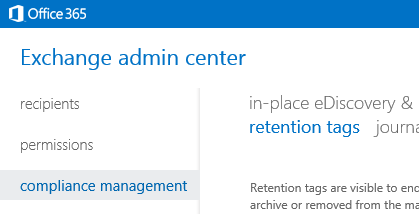 That’s probably because you have enabled archiving in the Exchange Admin center with a retention policy set. The good news is there is an easy way to allow your users to mark the notes folder not to archive. 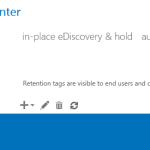 In the Exchange Admin Center, browse to Compliance Management and then to Retention Tags. Now for the user, go to your Settings and into Options under OWA. You can then add the “Personal never move to archive” tag. Now back in your inbox, right click on the “Notes” folder and you can assign that new policy. When you add a retention tag of “Personal Never Move to Archive” does it apply to all users so then you would have to set retention policies on every folder for every user?